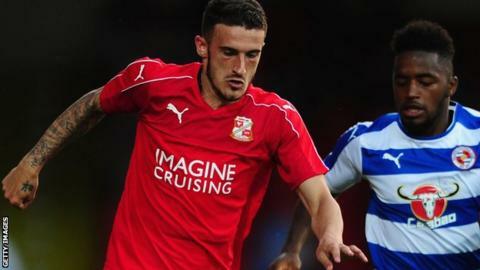 Chesterfield have signed Swindon defender Brad Barry on a free transfer. Barry, 22, was not given a new contract by the relegated Robins and has joined the Spireites, who were also relegated to League Two, on a two-year deal. The former Brighton academy graduate is the nephew of Everton midfielder Gareth Barry. "This club deserves to be in League One. It's an exciting time for me and I'm looking forward to a new chapter in my career," he told the club website.